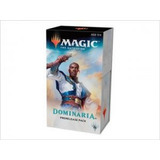 Mtg - Lealdade Em Ravnica - 5 Kit Pre Release !! Lp Vinil - 1989 Brasil Pre-release !! Mtg - Gatecrash Guild Pack - Pre Release ! !